Even before my little one was born we were already thinking about which preschool to send her to. I cherish the schools where I had been to and more than the studies, I remember the time spent playing and with friends. When we were searching for a great play school with a close relationship with nature, my wife introduced me to The Green Pocket and we had to pay a visit. 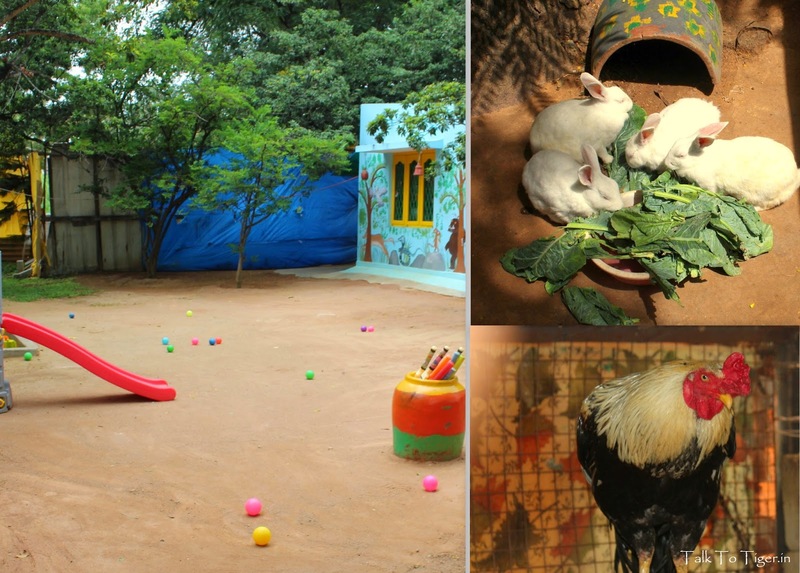 Anahita Batha provides just that – A play school which is in tune with the nature where you study under a tree, play in the sun, eat fruits, salads, run around, paint, sketch, swing, slide, build sand castles and you have pets too! Your child would receive personal care and attention from each of the teachers and handlers in the few hours they are there. 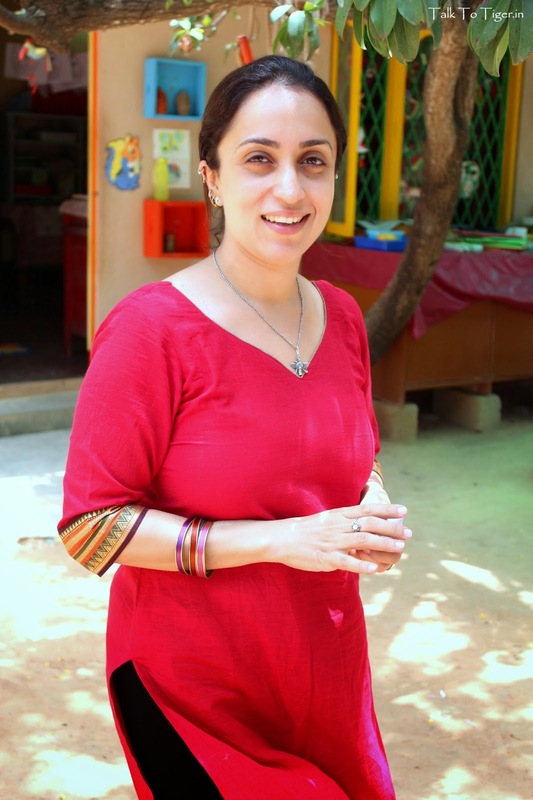 I am really impressed with Anahita’s passion, commitment and how she could bring together such a beautiful place which is a luxury in Bangalore. 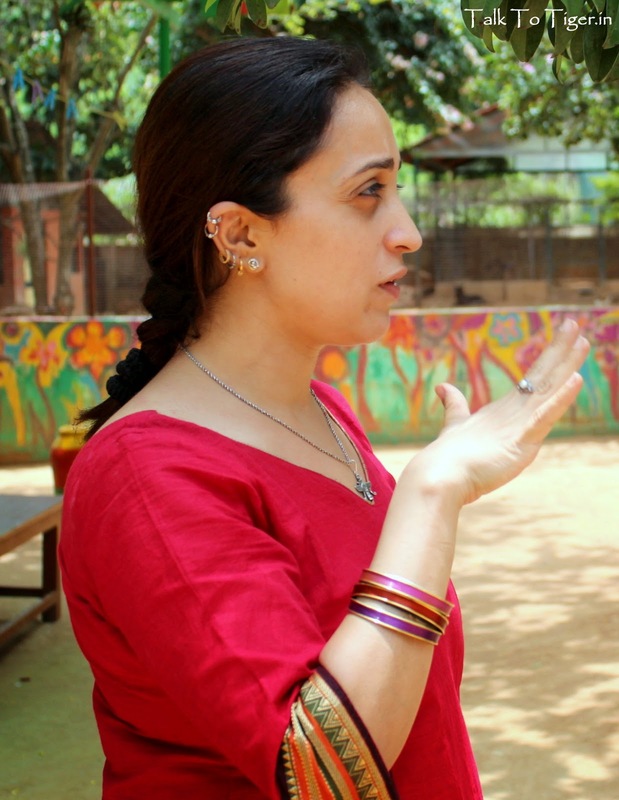 Here is what happened when Anahita Batha of The Green Pocket met with Talk To Tiger! Hello Anahita! Welcome to Talk To Tiger. 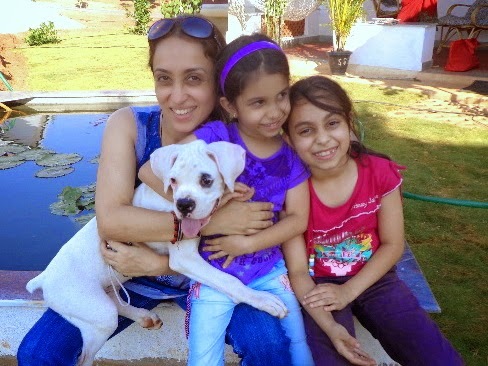 I am Anahita Batha, a proud mother of two girls Freya and Trisha. I was trying to find a summer camp for Freya when she was 3 years old lead to the first camp and two years later came up with the place called “The Green Pocket“. My initial schooling was in Ambala, Delhi and Army school, Bangalore. 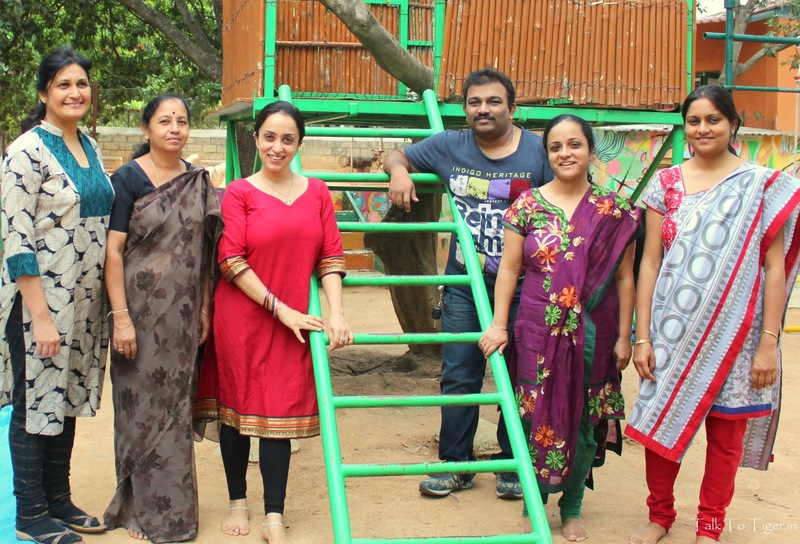 But once parents decided to settle in Bangalore permanently my sister and I were put into Sacred Hearts girls high school where I did my studies. I made amazing friends and drove my teachers nuts! Finished college ( Degree) in Mount Carmel College and did a one year student exchange programme in Switzerland where I worked in a daycare with kids. As a kid I used to dream of seeing the world waking in the sun, running, my own café, adopting children protecting, securing animals – a lot I still think is left undone which I hope to someday! 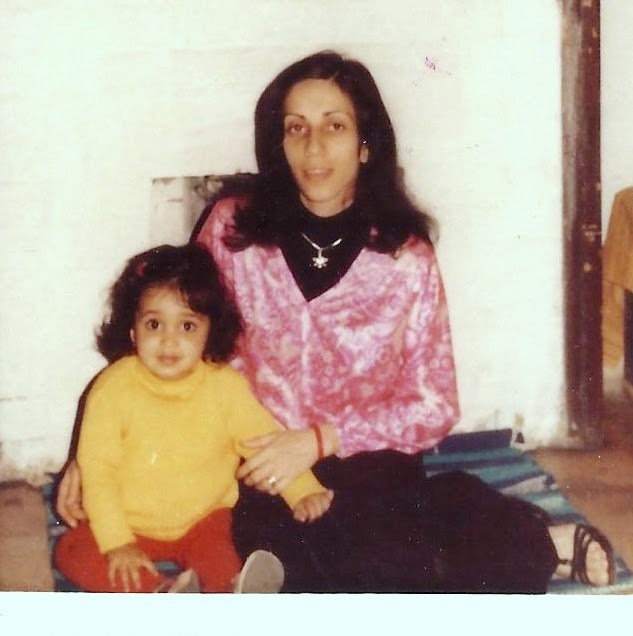 My sister & I were lucky as our parents never forced us in any way but guided is to make choices we wanted to make. I never got to do my Hotel Management but sure like the idea of having a child friendly café someday. Tell me about The Green Pocket? Life had it’s ups and downs post marriage and propelled me towards getting back to work. I was working as a KG teacher in Bishop Cotton’s Boys school for six years. Wanted to enjoy being a full time mom so gave up working when my elder daughter Freya was born. 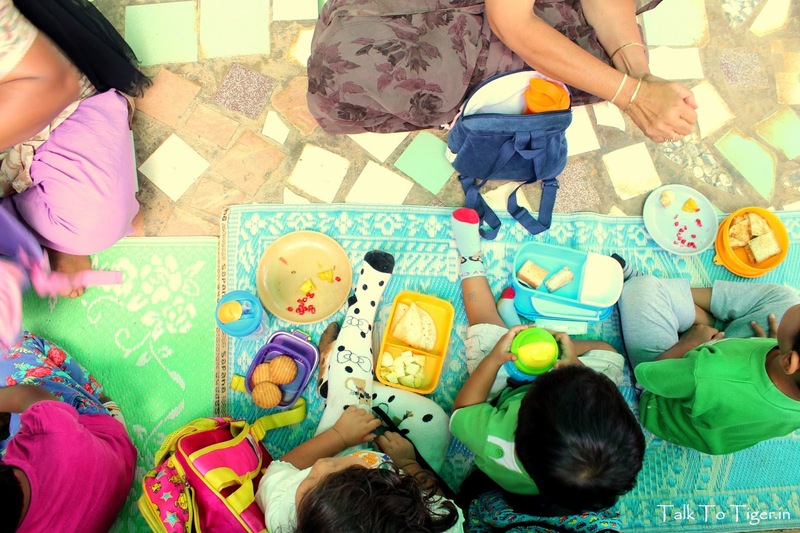 To help her get busy at 3 years I started a camp and then with the encouragement and the need to be independent took a plunge towards starting something of my own. 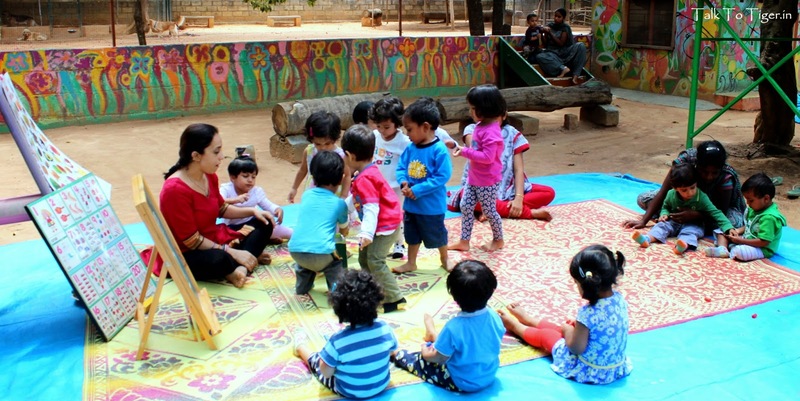 So with my second daughter of 1.6 years we started the baby nest programme at TGP and from there it grew into a playschool and nursery / Day care. What is the significance of the name The Green Pocket? ‘Green’ because of the nature that surrounds it as well as green stands for innocence too. ‘Pocket’ because our whole city which was a garden city has only few pockets of greenery left. I remember coming up with so many names and one day at night this name just popped in my mind and when I suggested it to my family / friends all had a smile and liked it. 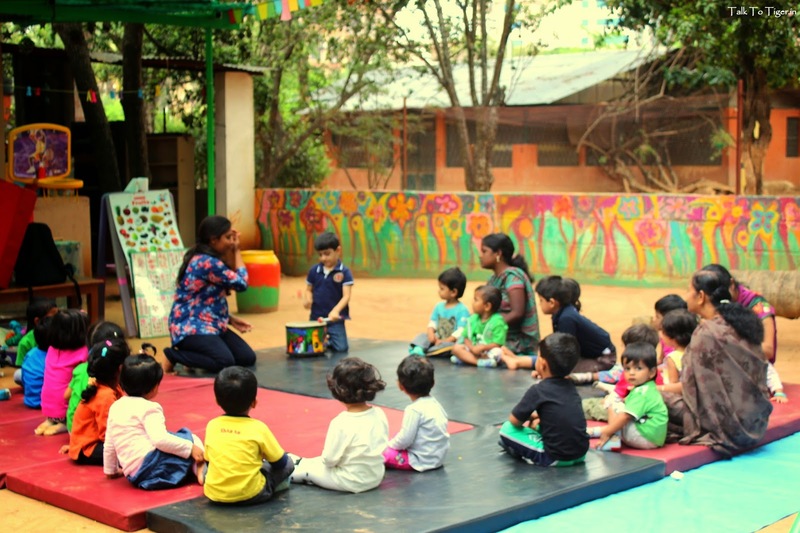 The USP of TGP is that it’s one of the very few pre-schools which offer so much greenery and the concept of learning outdoors in nature. We have kept our place child friendly to some extent but left it rustic / natural too so that children get to experience the ‘real’ world. I make it a point that parents spend a day or so watching and understanding our programme / method / space before making their decision. Tell me your best experience after you started you’ve the Green Pocket. Every year we get amazing and encouraging feedback from parents. When parents put their second little ones back as students that’s the best as we know that we have met their expectation. We have had a mix of children from various backgrounds but treated all the same. TV9 too covered our playschool and so have a few papers in the past. We just completed 5 years ( 2009 till date). Have an amazing , loving group of teachers and helpers too! Can you share the turnover? Learning music, team work and sharing! The Green Pocket started for passion but soon became my source of income too! We honestly do not make much of profit as I still have to brush up my business side of running this place. What I know is that everyone helping me / working here get a good share of what we earn. Have had a rough time too and thought of shutting TGP due to personal reasons but overcome that and touchwood all is great now! To be honest I’ve always gone with the flow of life and will continue doing so. I enjoy teaching but not sure 5 years from now what we plan to do or be. 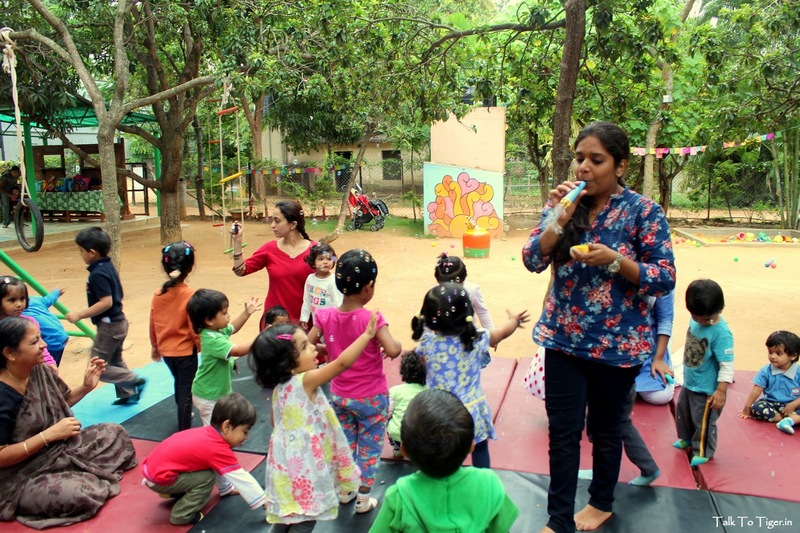 We conduct birthday parties on weekends and I enjoy that too so we may grow in size of our school / day care or may be start a café too in the future. 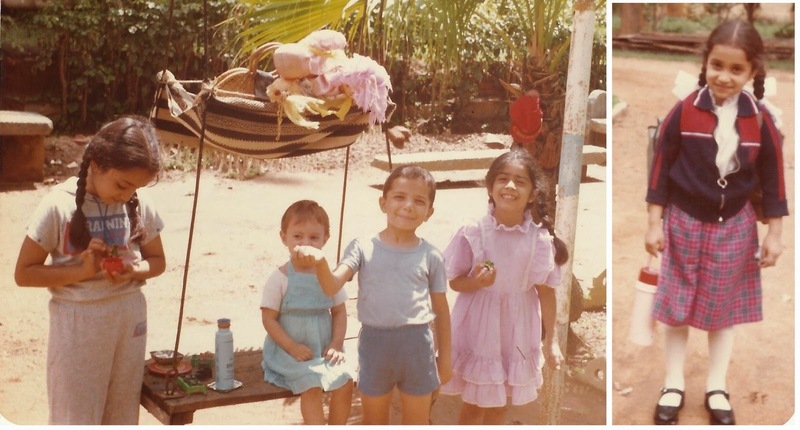 Grew up in a loving big joint family with cousins, parents, relatives and my dear sister. We grew up on the farm and protected from the bad world in many a senses. Had lots of pets still do and one of my passions are receiving injured animals. Got married and have two lovely daughters, now a single mom and trying to bring up my girls with a little bit of ‘farm’ ‘rural’ life in this big city!! You can reach Anahita at thegreenpocket@gmail.com | 9945616926. 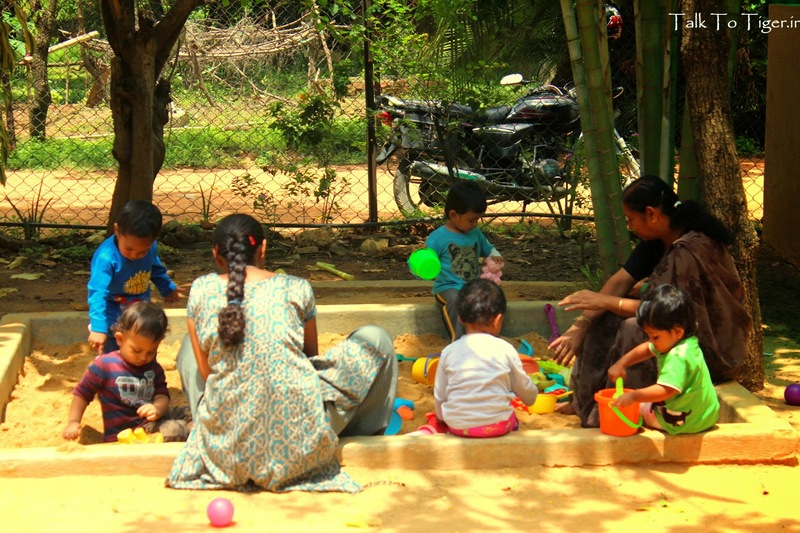 If you are near Indiranagar and are searching for the best play school, rush to The Green Pocket today! Follow Talk To Tiger on facebook: Hit like!